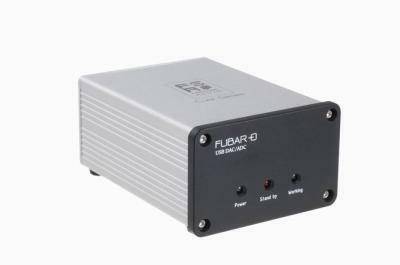 FubarI/O DAC/ADC audio amplifier from Firestone Audio Co., Ltd.
Hi-Fi Amplifier > FubarI/O DAC/ADC > Firestone Audio Co., Ltd.
FubarIO is a High-Quality USB DAC/ADC Device. Using Universal Serial Bus you can simply Plug and play without installing any drivers (with Linux, Mac OS or PC Windows system). Also adopting the full-duplex system which allows communication in both directions (digital signals and analogy signals) have the functions of recording and playing back in order to offer FubarIO to the consumers who have the demand of transfer cassettes and records to computer or CD. FubarI/O DAC/ADC > Firestone Audio Co., Ltd.